They say it takes a village to raise a child-assassin. In the case, it is more of a utopian commune, which is even better. Alexander is the oldest among the dozens of children training under the charismatic Gregori. 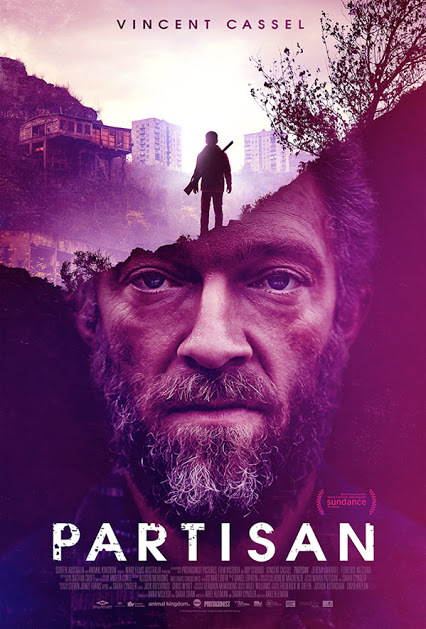 Rather logically, that makes him the first to question the Svengali-like father-figure’s authority in Ariel Kleiman’s Partisan (trailer here), which opens today in New York. Gregori “picked up” Susanna at the least likely of times—right after the single mother had given birth to Alexander. It is safe to assume she was feeling somewhat vulnerable at the time. Since then, Gregori has provided for all her material needs. Susanna is content to dote on the somewhat unruly Alexander, sharing Gregori with the half dozen or so women he subsequently invited into their fortified compound. The world outside is scarred by war and post-industrial malaise, but their cloistered oasis has an almost hippyish vibe. Nevertheless, everyone fully understands the lethal nature of the errands the children are periodically tasked with. When it comes to completing errands, none of the children is as efficient as Alexander. In fact, it is starting to give him a bit of status around the compound. However, the carefully balanced equilibrium will be upset by the arrival of Leo, a difficult eleven year-old who is clearly somewhere on the spectrum. Although he does not mean to be rebellious, Leo’s willfulness and bluntness clearly rattles Gregori. Their conflict sets in motion an inevitable chain of events that will reveal Gregori’s true nature to Alexander. Conceived and executed (so to speak) as a dark fable, Partisan has a distinctive vibe that is hard to define, but it is very potent. The compound interiors could pass for a post-apocalyptic bunker designed by Wes Anderson, while the world outside looks like a demilitarized zone, consisting mostly of mammoth bombed-out housing complexes. Those outdoor shots were filmed in Georgia, so part of the credit for the eerie atmosphere is probably due to Vladimir Putin (thanks, but you really shouldn’t have). 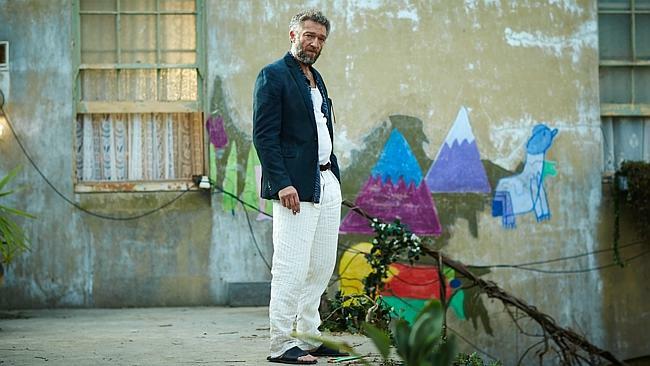 Vincent Cassel has played plenty of “intense” characters in the past, but the scariest thing about Gregori is not his mania, but how well he keeps it together. His portrayal suggests equal parts Jim Jones and Dr. Spock. While you could say he chews a good deal of scenery, Cassel still refrains from a lot of screaming and arm-waving, so when he raises his voice, you know its serious. Jeremy Chabriel is a bit inconsistent as Alexander, but he projects the appropriate rodent-like ruthlessness when he needs to. He also develops some believably affectionate chemistry with the Isabella Rossellini-esque Florence Mezzara. Both happen to be French transplants living in Australia, so they obviously shared a connection. They also reinforce the film’s ambiguous national identity. It is similarly difficult to pigeonhole Partisan in terms of genre. There are plenty of guns laying about, but it is far moodier than conventional thrillers. Regardless, Kleiman takes you someplace you have never visited in movies, where he then unleashes karma to do its thing. Rather unsettling but also quite sly, Partisan is recommended for adventurous cult film fans when it opens today (10/2) in New York, at the Village East.